When associating dates with data, the first real-world visual that comes to mind is a standard 12-month calendar. While other custom calendar visuals exist in the Office store, the offerings did not portray the dates in this familiar manner or display the range of data desired. Tallan’s Calendar visual enables you to view the aggregation of data across a range of dates in a standard calendar layout. The visualization offers separate views for year and month, allowing users to zoom in on date ranges while presenting them clearly and effectively. Selection of date ranges can be targeted through the ‘Control’ and ‘Shift’ keyboard commands, providing the ability to select weeks, quarters, and other desired variations. 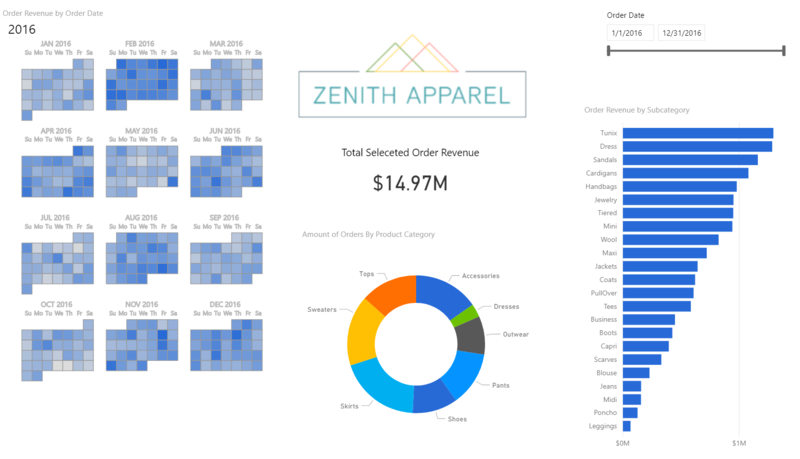 Have an idea for a new Power BI visual? Microsoft’s GitHub contains detailed instructions on environment setup to help you get started in creating your first custom visual. Tallan also has AppSource Consulting Service offerings to help accelerate your custom visual becoming a reality. Looking to see if this has been updated to trim out old year or to be able indicate what year to only show in opening. 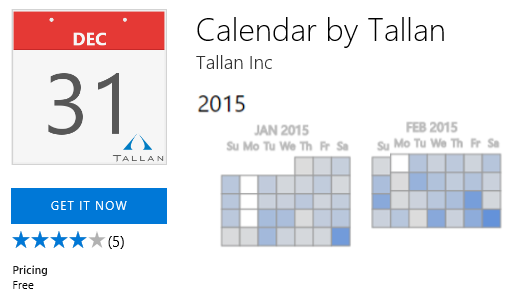 I am using tallan calendar for visualizing hotel occupancy. So the values are in % but the when you point the mouse on the calendar the tooltip show the value 0.8293232342342342 with too many decimals. I’m displaying only one month but there’s all this blank space around it. If I resize the visual smaller it just shrinks everything .. my one month gets tiny and keeps all the blank space. Not very good. I am using the calendar to represent planned vacation days. The data has a work date and a number of vacation hours per date by employee (typically 8 per employee per day). It looks great except I notice some employees, even though their hours show up in the graphic when I put the mouse over the date, the color doesn’t show up. this seems to happen to about half of the individuals in my data set.